For the website, we accept .gif, .jpeg, .png, .jpg, and .swf (Flash) ads. The Flash frame rate must be less than 18 frames per second; twelve frames per second is preferred. For proper click tracking, all Flash (.swf) files must be formatted for clickTag. As such, we strongly recommend using the clickTag validation tool located at https://flashval-temp.appspot.com/validator/ to ensure any flash file is formatted properly for our system. A linking URL is also required for all clickTag flash files. You may have to export your Flash (.swf) creative in an older version of flash than what is most current as the version supported by our ad system may not have been updated to the most recent version released. Alternatively, if click tracking is not required for your campaign, you may hard-code your URL into your Flash file. Please advise us at the time of creative submission if you choose to hard-code as we assume clickTag functionality is desired and will NOT live your campaign if we think your creative is improperly formatted. 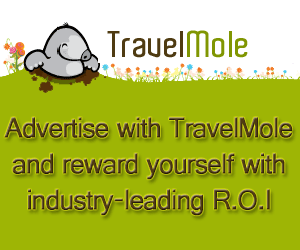 News site advertising cannot be directly competitive and/or disparaging to TravelMole.com. All Ad units can hyperlink to a specific web page. Please specify URL with submission of advertising unit. Closing Date for ad material is 5 working days prior to ad run or eBroadcast date. For example image showing useable area and criteria, click image below for larger version. 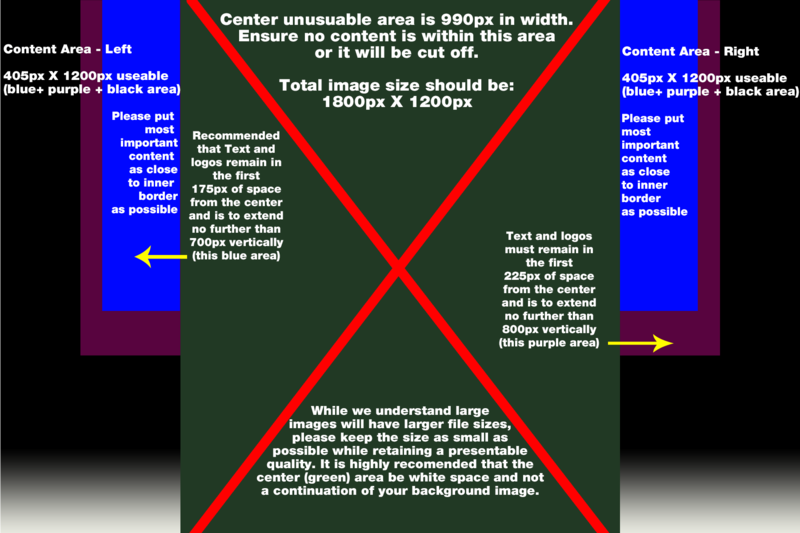 Total image size should be 1800x1200, with the center unusable area measuring 990px in width and the full height. Please ensure any reader content is as close to the website borders as possible. It is recommended to keep content within 175px of either inside border and 700px in height from the top. 225px from either border and 800px in height max. The background image should extend to the edges however (landscape or generic background images are suggested). A single website URL link should be provided with the creative for click-through. 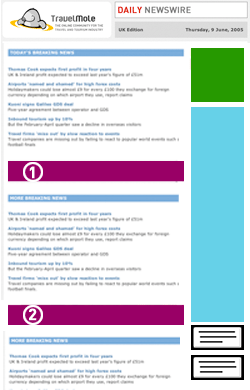 Shown on the left, the typical layout of our newswires. The ads included in each issue depend on the bookings but eg. a skyscraper could be replaced by 4 boxes. No flash animated (.swf) files are accepted for any newswire ad. If providing an animated .gif. the first frame MUST be an acceptable stand-alone advertisement, as some email programs will only display the first frame. Text to be submitted no less than 3 business days prior to desired live date. Each advertorial needs to have a title (2-8 words), a synopsis (10-15 words) and a body (up to 500 words). Please supply this as a word .doc. Up to 2 images may accompany any advertorial. Please ensure these are web-sized (maximum 400px width and 45kb file size), along with notating in the word document exactly where each image should be placed. Note that all advertorials will be formatted for web use and will have a maximum width of 420px. The Advertorial will be formatted per TravelMole editoral guidelines and the layout, font and font colors will be set to match the look and feel of the TravelMole website. Sponsored News Article (Advertorial) will appear on the newswire, website and Tweeted to TravelMole’s 40,000 followers. Cost [see below] is per article. Volume discounts available. Subject line: between 40 and 80 characters (~65 recommended). No extended ASCII characters. Deadline: 3 business days prior to broadcast minimum, 5 business days prefered. Broadcast to all subscribers costs £2,850.00. Segment targeting costs £0.10 per email, minimum £1,950.00 or £1,950 to all Travel Agents or to all categories excluding Travel Agents (i.e. Tour Operators, Travel Vendors, Consultants, etc.). For broadcast with TravelMole Partner Edition branding and logo, please note: a 20% supplement applies. £2950.00 for sponsorship of each award category in TravelMole's Web Awards, Reader's Choice Awards, or Travel Technology Awards in association with WTM. All rates are quoted on a net net basis to direct customers and agencies. It is understood that all orders are accepted for space subject to our credit requirements. Combination and volume discounts are available when planning advertising.